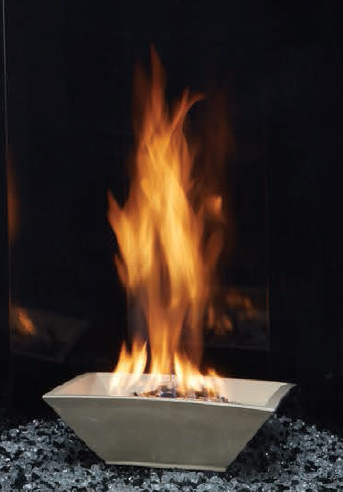 The Empire Decorative White Piazza Media Vessel for the Forest Hills Contemporary Portrait Fireplaces is a stoneware bowl that will provide a beautiful display for the flames in your new fireplace installation. This square-shaped vessel holds the crushed fireglass media of your choice, and its sleek lines offer excellent contrast against the crushed glass. This Piazza Media Vessel is exclusively designed for, and is needed to complete the installation of, the DVLL27 Forest Hills Contemporary Portrait Fireplace, and will not work with other brands or models of fireplaces.